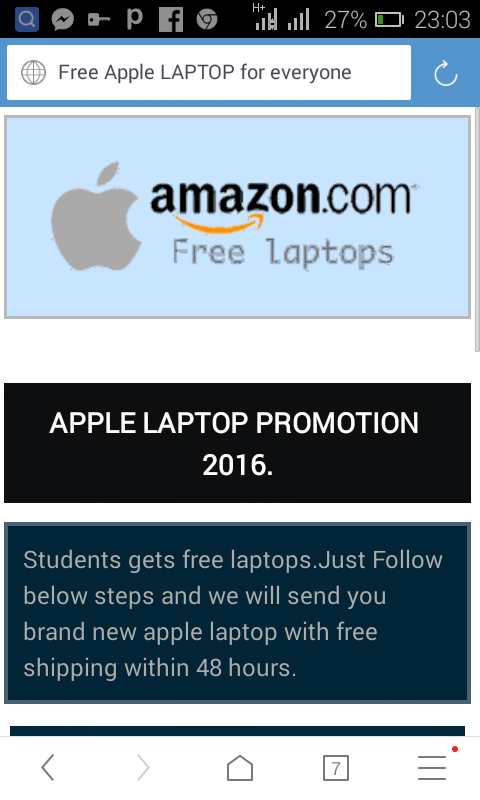 One of the newest scams that has been circulating online on Facebook and Whatsapp is the free MacBook Scam. 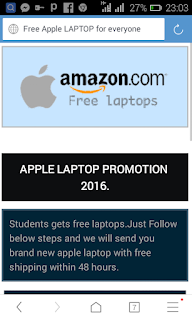 This scam offers you a Free apple Macbook Pro or Free apple iPhone , claiming you just need to complete just a few simple steps to get the free Macbook through shipment. 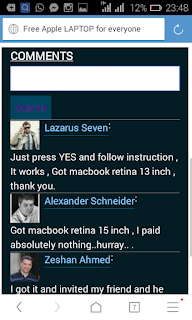 These posts are usually accompanied with different photos showing boxes of different model of Macbook or boxed iPhone. There have been many different versions of this scam appearing everywhere however, the most common is using MacBook laptops or iPhone and asking you to share it with groups and friends. Some might tell you to fill out some forms and pay a small token of few dollars for shipping ( for those that cannot come and pick it up). Be very carefully online, especially when giving out your credit card details and every other details. Some might not ask you for credit card details, but they might use you just for advertising purposes, and they get paid for the traffic they have brought. Some might ask you to download some applications, and at the end of the day, they will be the one to benefit from it. There are lots of genuine online stuff just as much as the scam stuffs, just get to know more details about what you are getting into online, before jumping into it. Google search is always there to help you out, ask other people if they have done similar stuff and try to know the end result if you can. You can checkout the site design, most of this scam site have very simple and scrappy design, they may try to look like what they are representing, but you can see it's fake. Their web address is different from their header address ( amazom.com) because they are trying to make you think they are amazon, but they are not. 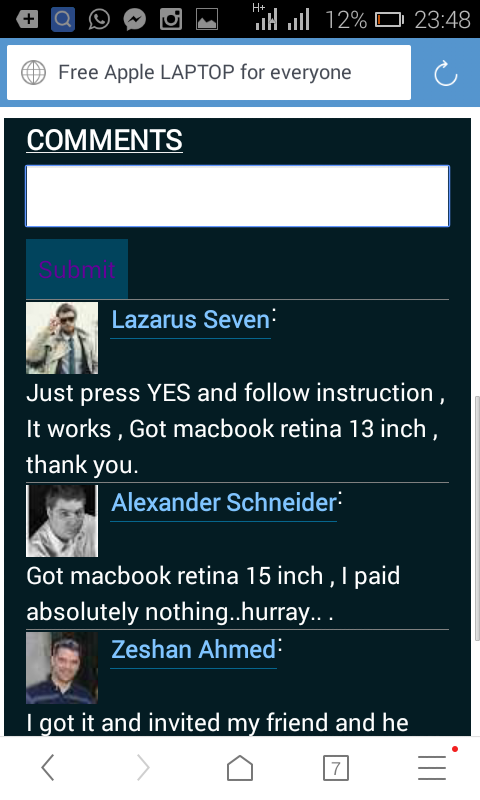 Another thing to note about these website is the fake comment at the bottom, of fake people claiming they have successfully claimed their laptops. There are different ways and different method of scam on the internet. BE CAREFULL! Thanks for this, Chika. I knew they are scam. If you are into lead generation, I guess you will understand better. Rather than call it a scam,why not say "unethical marketing practice"